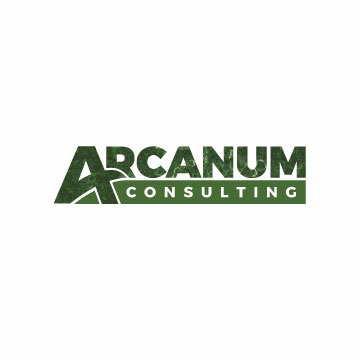 Top performing Arcanum Consulting, Inc. team members will meet with industry leaders from across the country for a three-day networking and leadership event. The firm's President discussed the benefits of business travel. The next Arcanum Consulting, Inc. qualifier will take the firm’s highest achievers and send them to Newport Beach, California. There, they will spend three days with industry leaders from across North America, networking and sharing best practices. There will also be seminars where professionals will gain hands-on training in the latest techniques being used in our field, and of course some beach time as well. Networking and training are obvious and traditional benefits to trips like the Newport Beach event, but Mitchell points out that there are other ways that business travel benefits the firm. For example, when Arcanum Consulting, Inc. executives attend a conference, they do more than pay attention. They send content back to the team via live feeds and blogs. Tweets provide quick and easy updates as well, and conference hashtags help organize the information being shared. Not only does this make the whole organization feel like they’re a part of the action, but it gives them content to share with consumers and the brands the firm represents. Arcanum Consulting is a leader in dynamic marketing research and development. The team’s innovative approach focuses on collecting key consumer data. Using customized analytics, they achieve valuable insights that reveal brand trends. With this knowledge, the firm’s public relations experts recommend product positioning that achieves optimum exposure. This method results in fast sales and high ROIs for brands of all sizes. Arcanum Consulting creates impact in evolving marketplaces. Learn more about their techniques by visiting arcanumconsultinginc.com. Arcanum Consulting uses data to gain insights into consumer buying decisions and pinpoint brand trends to position products effectively. Press Contact Arcanum Consulting Inc. The President of Arcanum Consulting, Inc. announced that the firm received a prestigious award for its dynamic office culture. He also explained how team-building activities contribute to the overall company atmosphere.